The SS150-300 stator TIG welding machine is supplied with a 3 axis servo controlled operating system can be supplied with single or double welding guns. The high accuracy servo motor controlled system deals effectively with the welding gun traverse, stator rotation and when required the angle of skew for a range of different stator requirements. For skewed stators the machine can even be programmed to follow the angle of skew. The machine is fully programmable and has the capability to store an extensive range of different stator specifications. The machine is supplied with a high precision quick release interchangeable tooling mandrels to suit your range of stator in side diameters. It can accommodate a wide range of stator sizes which gives great flexibility in production. 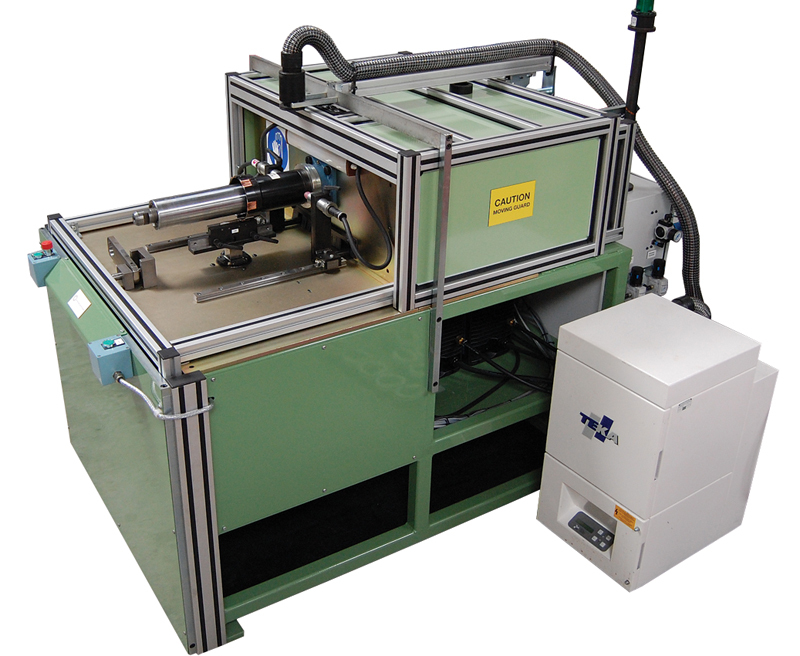 It is also possible to supply this range of stator welding machines with laser technology. Where a stator lamination welding machine is supplied with multiple welding torches, these will be mounted 180° opposed horizontally at rear of stator on a slide rail with servomotor ball screw traverse and quick release torch feature for changing of electrodes. 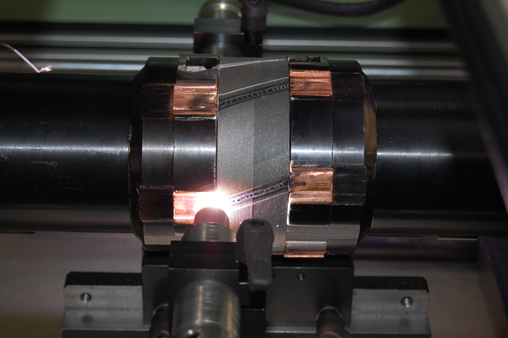 The stator tooling is very simple and easy to load / unload. A typical changeover time between different stator stack heights would be around 5 minutes. For a complete lamination change you could consider 10 minutes, maximum.